Being a renowned and the most popular enterprises in this industry, offering an optimum quality assortment of SKF Oil Seal to our customers. Banking on the skills of our qualified team of professionals, we are involved in providing a high-quality range of SKF Oil Seal. 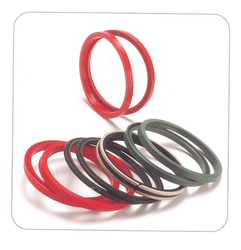 We manufacture supreme quality Oil Seals that are designed to fulfil the requirements of several industries. These are used to seal various kinds of hydraulic instruments and are available in different specifications with respect to capacity and power. We trade these Oil Seals to various industries at reasonable market prices. Design: as per customers prefer. Keeping the diverse requirements of customers in mind, we are instrumental in providing SKF Oil Seal. SKF is a sweden based company and oil seals are another high quality products from this brand. it provide sealing power at high rpm and pressures. rates are reasonable. skf has huge varities of oil seals with thousands no of size. 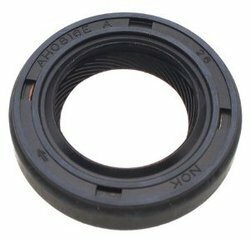 It provide seals both Nbr and viton material.